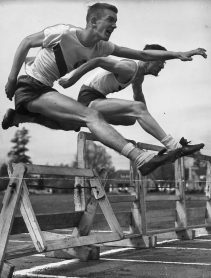 The last of our early Olympians is Rudolph (Rudy) Scholz, the first of our University-connected competitors to win gold in two Olympic games. 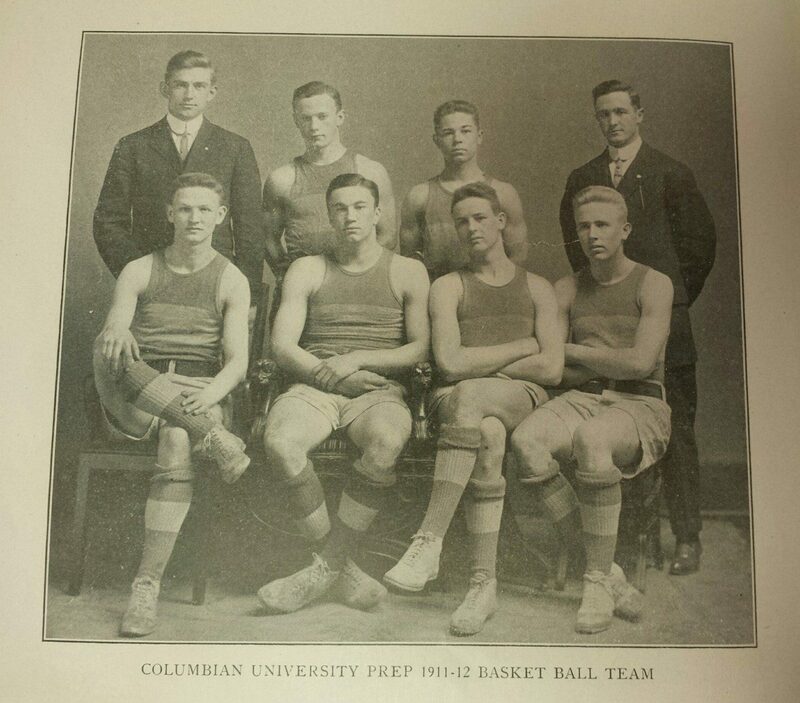 Rudolph Scholz attended Columbia Preparatory School for one year, 1911-1912, moving to California to complete his studies. He made his mark here in basketball and baseball. Small in size but quick to react on the court and field. 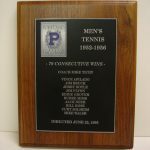 As a forward on the basketball team, “Rudy was the best scrapper on the team. What he lacked in inches he made up in cleverness. Very fast and good on tossing baskets.” (Columbiad, April 1912) As short stop for the baseball team, he was a “fielding star.” (Columbiad, May 1912). 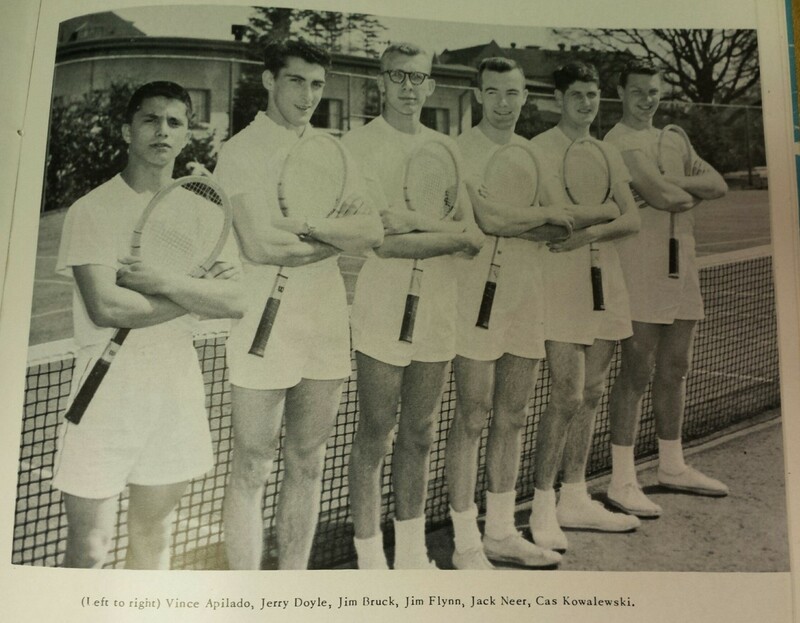 Rudy must have hit a growth spurt before attending Stanford University where he joined the school’s rugby squad, beginning of a lifetime career in rugby. 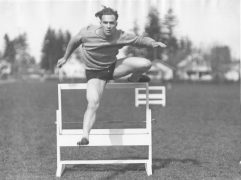 In 1920, at the age of 24, he competed with the United States rugby team to win a gold medal at the Summer Olympic games in Antwerp, Belgium. 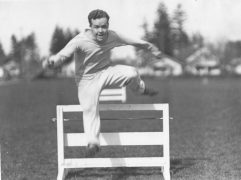 He returned with the team for the 1924 Summer Olympics in Paris, France to win his second gold. Rugby was part of the Olympics in 1900, 1908, 1920 and 1924 and then it disappeared from the Olympic scene. 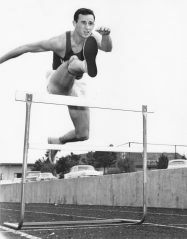 It is one of two sports returning to the Olympics in the 2016 games. 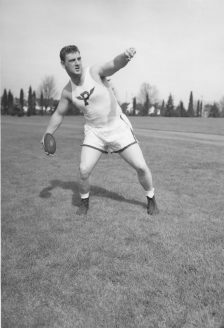 Discus throw has been part of the original Olympic games since the first Olympics in 1896. 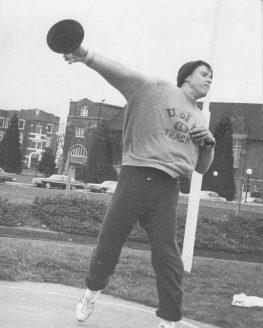 Women’s competition in discus was added to the Olympics in 2000. If not for Xena, Warrior Princess, no one would know why anyone ever put the discus throw into athletic competitions. 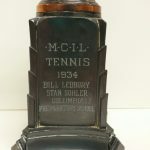 Our records up to 1914 suggest that discus was not an event in early Track and Field here. 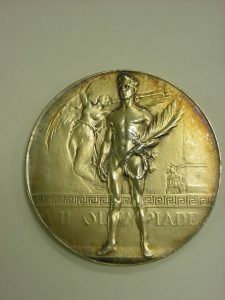 There is a sketch of a student-athlete in Columbia track uniform with a discus in hand on the front cover of the March 1925 Columbiad. 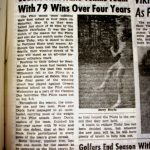 After track was reinstated as a major sport in 1934-35, the records record a cluster of discus marks for UP Track and Field. 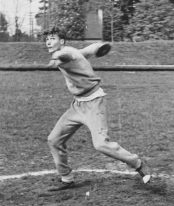 So, the March 1, 1935 Columbiad, documents Edwin (Moose) Dunstan (W. Elwyn Dunstan ’38) tossing a discus 117 feet. Notable squad records also show up in the 1938 Log where Joseph Enzler (Class of ’40) throws for 140′ 4″; exceeded in the 1940 Log record of James Shanahan’s (Class of ’41) throw of 144′ 6″. 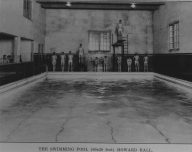 Swimming was one of the original Olympic games in 1896. 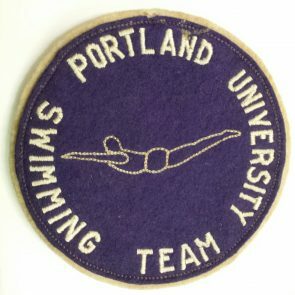 ‘Upon the Bluff high over the Willamette where the spires of learning reach up to the sky’, swimmers and swimming have been part of campus life since before Howard Hall opened its doors in 1927. But industry and landfill have since pushed swimming out of the river. The Howard pool a long-time mainstay. Whether engaging in a recreational swim or competitive swimming, students have been practicing freestyle, butterfly, breaststroke in the Howard Hall pool for years, with occasional interruption. For example, when snow collapsed the roof in 1937; and also the time the pool froze-over (February) and then too the building fire (March) in 1949. 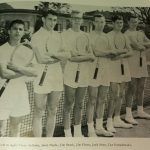 (https://sites.up.edu/museum/march-19-1949-howard-hall-fire/) Generally, a place of calm restoration. During the years 1982-1989, former University President Rev. Thomas Oddo, C.S.C., often spent late night hours in the pool swimming in solitude. 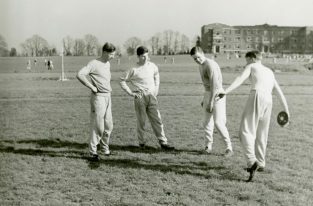 Soccer was the first team sport added to the Olympics in 1900. 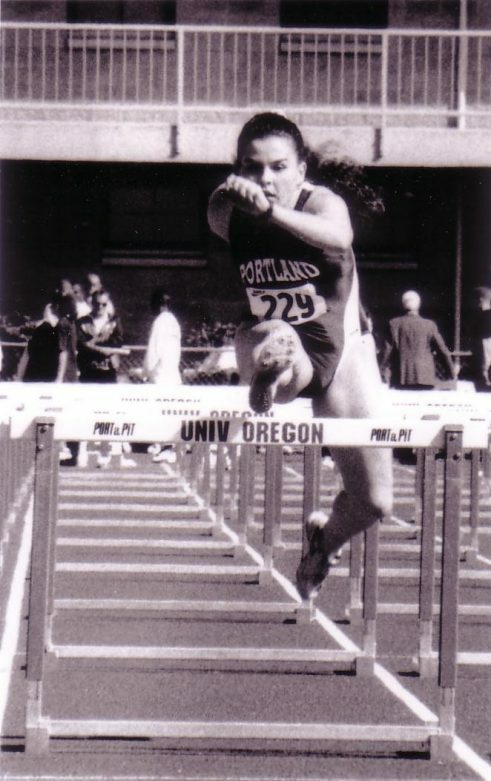 Women’s soccer joined the Olympic sports roster in 1996. UP has sent several soccer players to the Olympics. 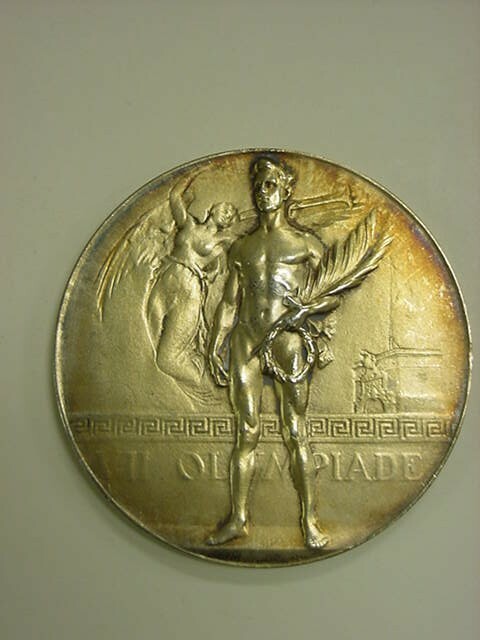 None have donated their prize medals to rest enshrined on display at the University Museum (we’d be honored!). 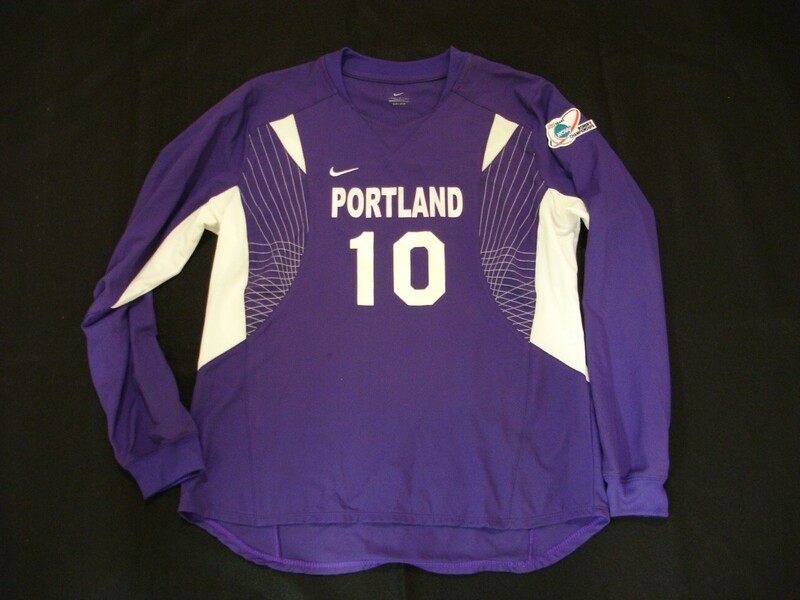 Complementing our earlier post about UP women’s soccer as two-time national champions, we offer this picture of Rachel Rapinoe’s soccer jersey which she wore during the NCAA championships finals in 2005. 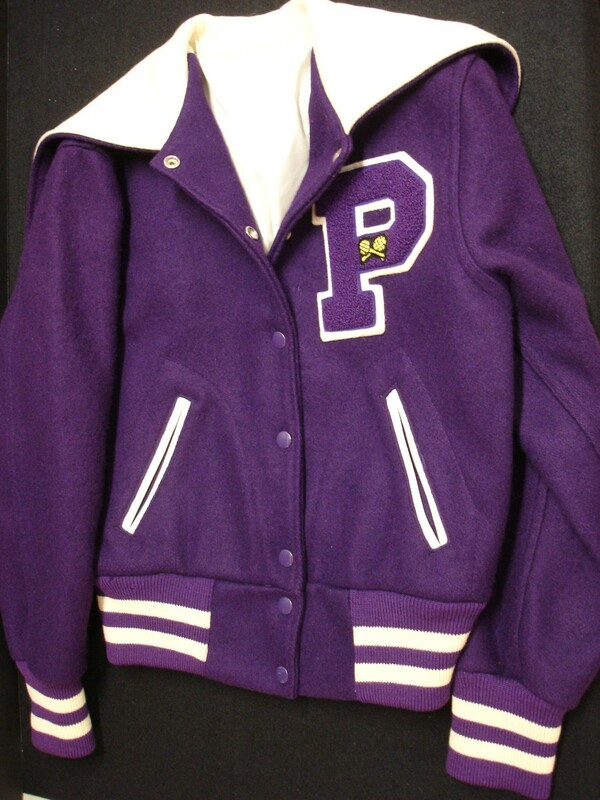 This jersey memorabilia is on display in the University Museum in Shipstad Hall. Rachel’s sister, Megan Rapinoe, represents the United States Women’s Soccer Team at the 2016 Summer Olympic Games. 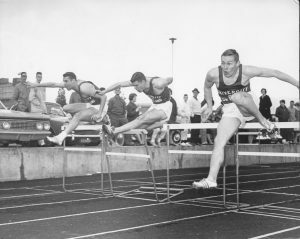 Hurdles is an original Olympic competition from 1896. 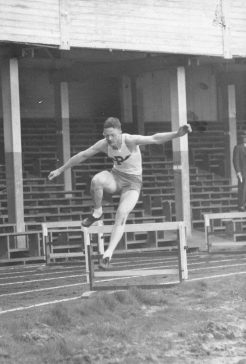 Women’s Hurdles were added in 1932. The Colosseum was built on campus against rain and mist and mold in 1902; because UP men’s track and field needed a place to practice and a site to host the Indoor Invitational; the women’s track and and cross-country teams arrive late, beginning with coach Mike Johnson in 1978; the indoor arena long gone. 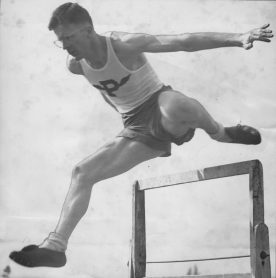 Hurdles are part of collegiate life then and now, but more graceful on the track than in some of the other challenges and stumbles students overcome and survive on the Bluff. Sports Photography is a graceful art as well. Trampoline made its debut as an Olympic sport in the 2000 Olympics. 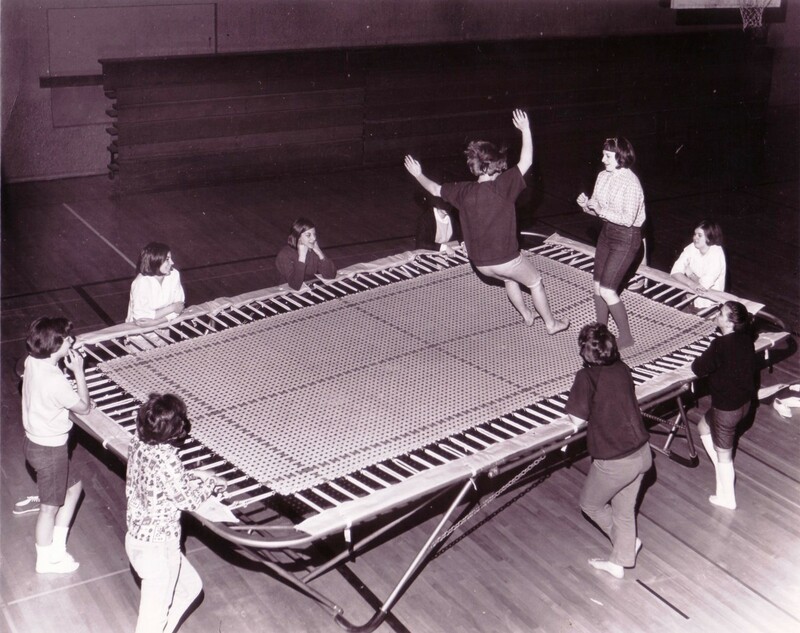 Without any other information from our usual sources, we simply offer this 1965 photo of women on a trampoline in Howard Hall. Most likely one of the recreational offerings from the intramural department. Golf is returning as an Olympic sport in the 2016 summer Olympics. 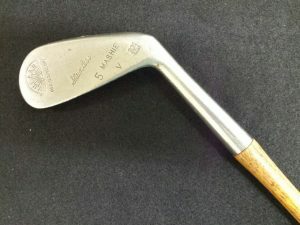 Golf was last played at the Olympics in 1900 and 1904. In the early years of the University students and faculty were seen putting on the campus greens. 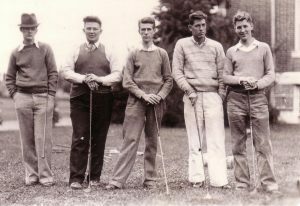 After 1935 golf became more organized and the men’s teams dabbled in matches against other northwest colleges such as Oregon, Willamette, Seattle College, and Linfield winning 80% of their matches through the ’40s and ’50s. 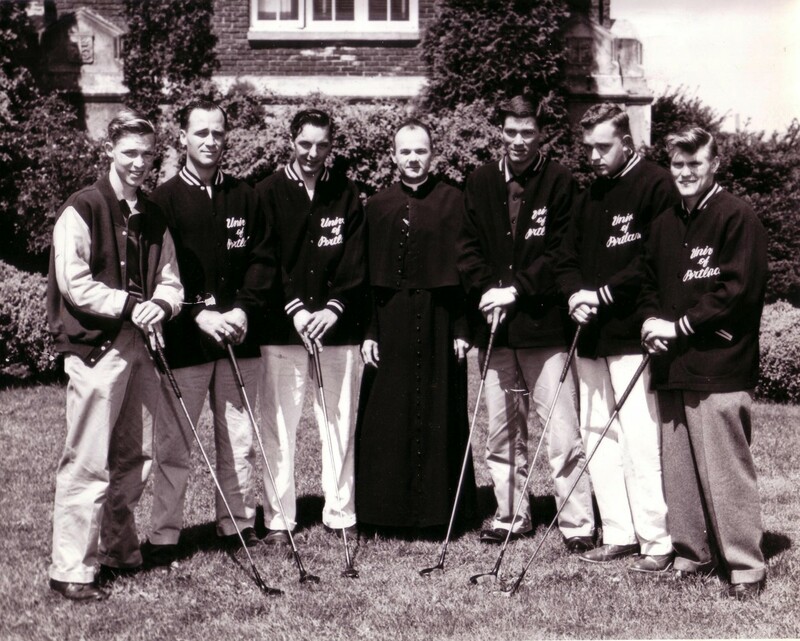 With the University’s 1976 entrance into the West Coast Athletic Conference (WCAC), golf became a varsity sport, with Women’s Golf added to the athletic roster in 1998. 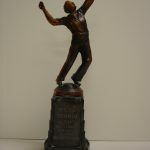 The golf program for men and women was not renewed following the 2010-11 season.